Yes, a member of the Ivy League’s own University of Pennsylvania has conducted a study which purports to show that those who read Harry Potter have lower opinions of Republican presidential candidate Donald Trump. According to Political Science and Communication Professor Diana Mutz’s “Harry Potter and the Deathly Donald?,” the more books in the series read, the greater the negative effect on Trump. 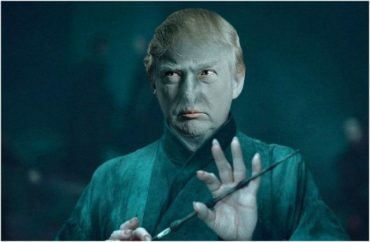 Mutz says that in all three instances, Trump’s messages are more in line with that of Potter’s enemy, Lord Voldemort. Not killing terrorists is … a positive thing? France and Germany, in particular, might have something to say about that, now, considering current events. Mutz points out that Potter author J.K. Rowling is an outspoken “pro-unity” advocate, having voiced anti-Brexit and anti-Trump views.